Girlfriend and boyfriend jeans are no longer just a trend but are a casual fashion staple that offer options for all figures. Knowing what the differences are between girlfriend jeans and boyfriend jeans can help you pick the best style for your figure and height. 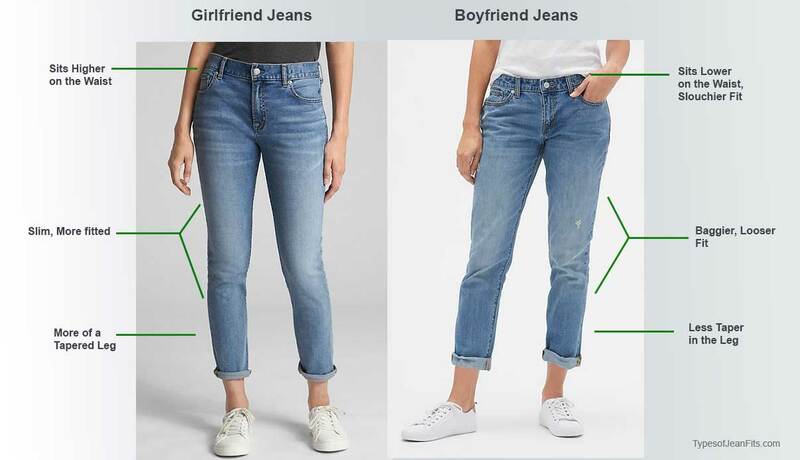 Because the fit of any type of jean varies from brand to brand, the girlfriend and boyfriend fit jeans compared here are both from the same brand, Gap Factory. The better informed you are, the less hassle – less returns of online purchases because the fit isn’t what you expected. Or being better informed, in the case of in-person purchases, means less trips to the dressing room. Whether you are shopping online or in a store it helps to be familiar with jean styles and the terms brands use to describe their jeans. Girlfriend jeans vs. boyfriend jeans – so, what’s the difference? In short, the difference is in the looseness or generosity of the cut. 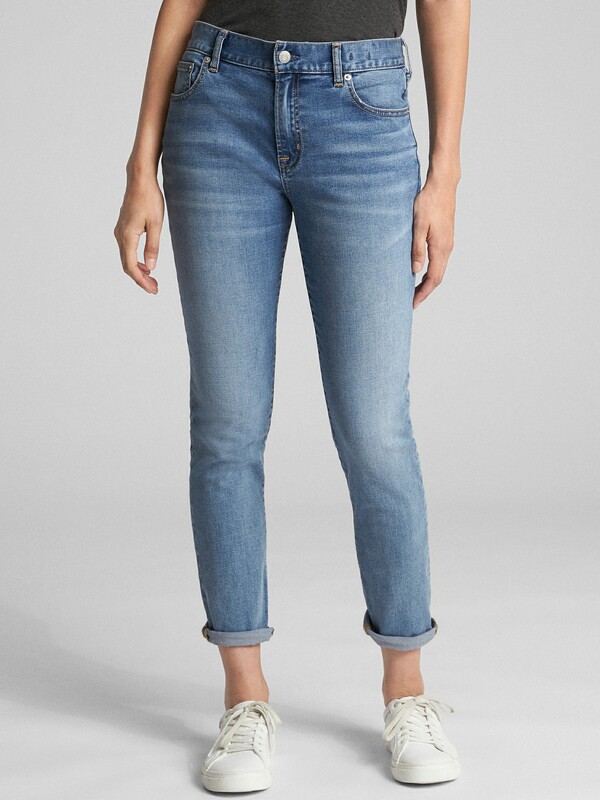 Girlfriend jeans are a slimmed down, sleeker version of the boyfriend jean. Though they differ in fit, both are usually made from rigid denim and are straight/tapered leg jeans (though I have seen jeans described as “boyfriend” that have wider leg openings). Both can be low-rise, mid-rise or high-rise. 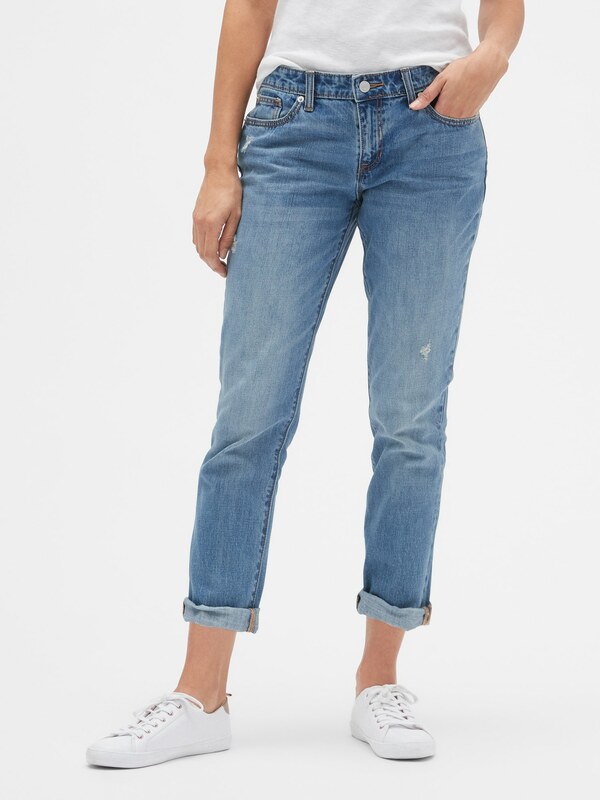 Girlfriend jeans and boyfriend jeans add options to your denim wardrobe and are a great addition or alternative to skinny jeans and bootcut jeans. Both are also a more wearable alternative to tapered leg mom jeans which can accentuate a tummy pooch or elongate your behind. Very skinny figures and petite frames can be overwhelmed by excessively baggy, slouchy-fit boyfriend jeans. 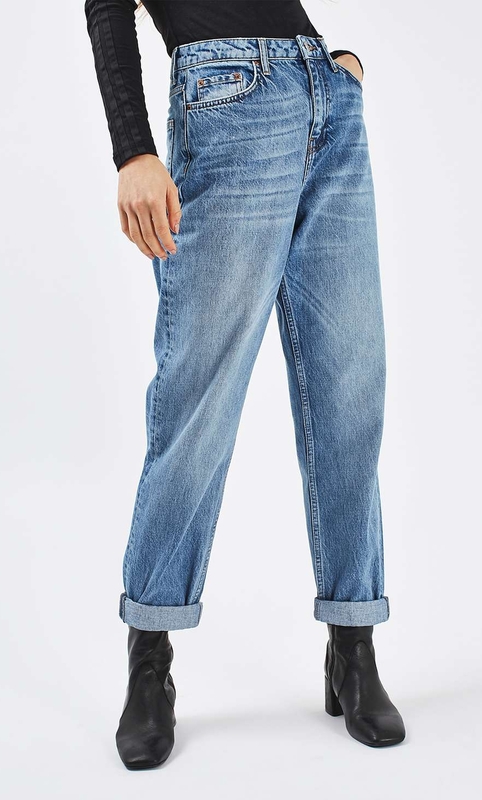 On the other end of the spectrum, if you have a large bottom and/or wide hips, the bagginess of slouchy boyfriend jeans can make those areas appear heavier. Wearing clothes that are too bulky (or too tight ) is least flattering for full or very curvy figures. A girlfriend jean or slim cut boyfriend jean will flatter your curves the best. Style mavens know how break the fashion rules and not worry about baggy jeans drowning their petite frames. 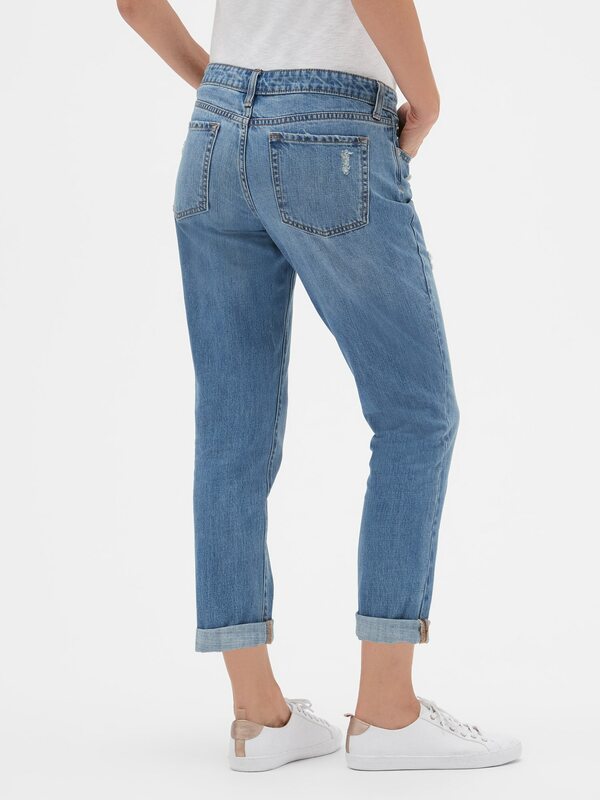 A baggy fitting boyfriend jean works well with a bohemian or hipster style. Even if you are petite like Nicole Richie, fashionistas know how to bring the boho or hipster chic! Nicole Richie wearing slouchy boyfriend fit jeans.